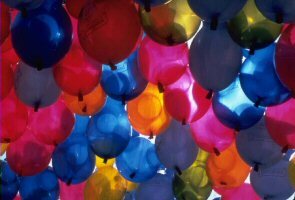 100 rubber latex balloons filled with helium tied on a 1 metre curling ribbon, any colour any combination. Includes pearl and/or metallic latex balloons. All this delivered to your door for $169. Local area.